Backed by a diligent workforce, we provide a range of softeners that are widely used in different industries. Some of its features include consistent treated water quality, easy to install, simple operation and durability. We can customize the products according to the specific requirements of our esteemed clients. 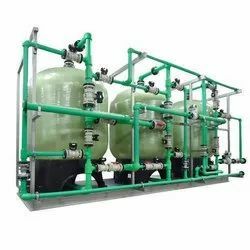 We offer finest quality Water Softeners Plant that are used in various application areas such as boiler feed, process water in textile mills, beverage manufacture, laundry and air conditioning plants, cooling tower make-up and jacket cooling. The product offers various advantages which include clear, soft and non-scale forming water, low operating costs, incorporates high capacity polystyrene bead type cation exchange resin which is remarkably stable and has a long life.